I have such a love-hate relationship with tempeh. I so want to love it but every time I make it at home it’s just not what I expect. After reading the following article on soy products I decided to give it another shot. It came together fairly easily and we served it over brown rice with homemade naan on the side (not pictured). We did not have quite enough potatoes so added some peas and used the entire can of diced tomatoes. Dialed back the cayenne pepper a little bit and still found it spicy! The result was that we loved the curry part but not so much the tempeh part. The tempeh tasted a bit too “fermenty” to both of us. I know that’s not really a word so maybe “sour” is a better description? I suppose I shouldn’t be surprised at this point that it wasn’t my favorite. I’m not quite ready to give up on tempeh yet though. There are so many different recipes out there, surely there’s bound to be one for me. 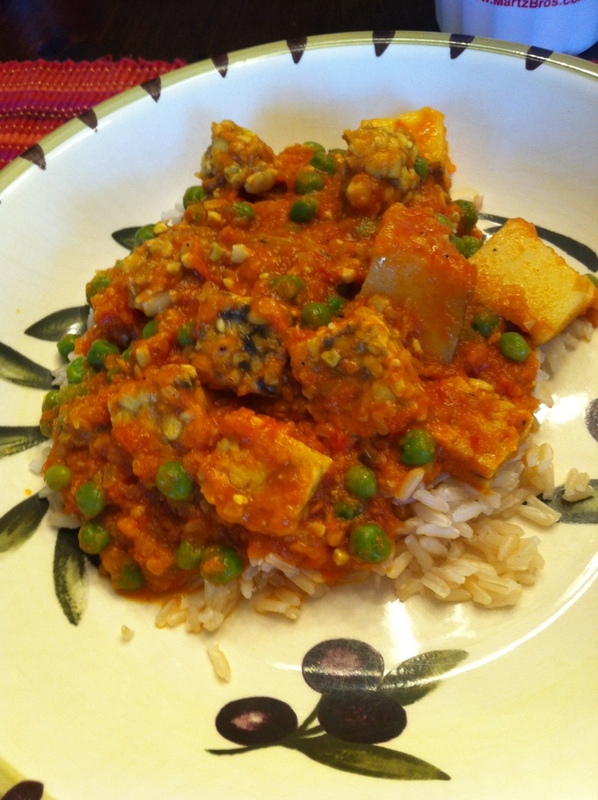 I will say that we would definitely make the curry again and perhaps use chickpeas or lentils instead of the tempeh. I think adding cauliflower would also be delicious.